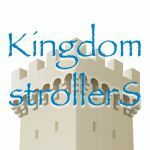 Kingdom Keepers author Ridley Pearson stops by to tell us all about his fourth book in the series and what he thinks, and knows, about the future of guest interaction and technology at the Disney parks. We talk to Josey Miller from TripAdvisor.com about things to do besides Disneyland in Anaheim, CA and why they ranked number 1 for family amusement park destinations over Orlando, FL. We of course talk about the new Hitchhiking Ghost effects at the Haunted Mansion and much more.